iPhone Photo ManagerOne-click solution to backup and manage iPhone photos and albums. A solid way to free up your iPhone space and put your precious photos, selfies, screenshots, etc. from iPhone to a safer place. Allows you to download pictures from computer to iPhone and create new iPhone albums at wish. There are different ways to backup iPhone photos, but mostly they can only transfer pictures in Camera Roll on iPhone to Mac and PC. DearMob iPhone Photo Manager lets you backup all pictures in different albums on iPhone with only one click. Check the following guides to know the tricks. Top 10 Ways to Backup iPhone Photos Free and EasilyHow to backup iPhone photos free and easily? 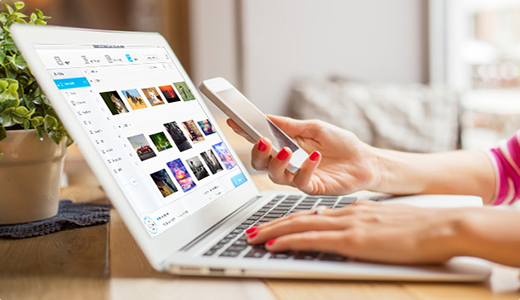 Here offers 10 free ways to backup iPhone photos, no matter you need to backup iPhone photos to PC/Mac or backup iPhone photos online, they will get it covered. iPhone 8: Get Photos Off iPhone to Win10 4 Aggressive WaysHow to get photos off iPhone to Windows 10 computer when the iPhone 8/7 Plus is running out of memory? This page recaps top 4 ways to transfer photos from iPhone to computer (Windows 10/7/8.1) with least action steps. 5 Ways to Transfer Photos from iPhone to Computer (PC/Mac)How to transfer photos from iPhone to computer? If you're a naive user, you are provided with 5 ways of transferring photos from iPhone 7/7 Plus/6S/6S Plus/6/5/SE to Windows 10/8/7/XP and Mac. How to Delete Photos Pictures from iPhone X/8/7/6S Plus/6 etc Quickly?How to delete photos from iPhone X/8/7/6S Plus/6 etc quickly in a bulk way? 3 feasible ways are offered here for you to help out. How to Copy Pictures from iPhone (8/7) to PC without iTunes?Is iTunes the only way to copy pictures from iPhone to PC? Definitely not. Here you could find a way to copy iPhone pictures to Windows PC that is much eaiser than iTunes. How to Transfer Photos from PC to iPhone 8/7/6 etc with/without iTunes?How to transfer photos from Windows  PC to iPhone 8/7/6 etc and vice versa? Follow this guide with two photo transfer from PC to iPhone methods - with/without iTunes to help you out. How to Free Download Pictures from iPhone 8/7 to PC and Mac?How to import photos from iPhone to Windows and Mac computer for iPhone photo backup? Here this guide provides the simplest solution. iPhone 8 | How Do I Transfer Photos from PC to iPhone No Data Loss?How to transfer photos from PC to iPhone 8 if you want several HD pics to go mobile on new iPhone 8? Here're top 4 answers to how do I transfer photos from computer to iPhone 8 without data loss to help you transfer photos, pictures, files from PC to iPhone 8 iOS 11 or vice versa. Easiest Guide to Export Photos from iPhone to Windows 10 PCHow to export photos from iPhone to Windows 10 PC? Follow this guide with 5 ways to import photos from iPhone 7/7 Plus/6S/6S Plus/6/5S/SE to Windows 10 as well as 8/7 PC at will. Dead Simple Way to Import iPhone Photos to ComputerYou can import iPhone photos to computer with this iPhone photo import tool to relase your iPhone 7/6S/6/5/SE etc and backup the memorable moments on computer in a click. Sometimes we want to delete all pictures from an iPhone album at one time, but it seems unachievable without an iPhone photo manager. 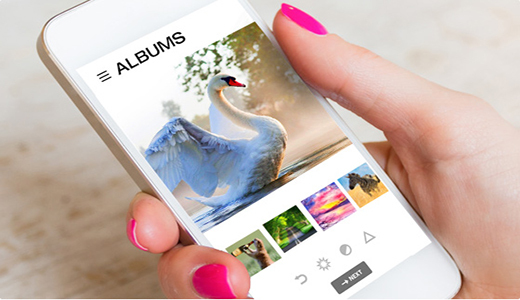 With DearMob, you are free to manage and create new iPhone photo albums and bulk delete pictures as you wish. Solve "iCloud Photo Sharing is not Available for This Device"iCloud Photo Sharing is not available for this device? 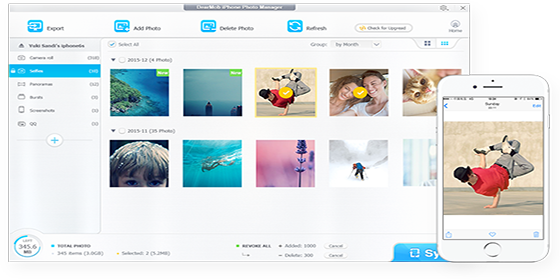 Find the solutions here to see if they work for your iCloud Photo Sharing problems. How to Transfer Photos from PC to iPhone X/8/7/6 etc? How to transfer photos from Windows  PC to iPhone X/8/7/6 etc and vice versa? Follow this guide with two photo transfer from PC to iPhone methods - with/without iTunes to help you out. iCloud Photo Library Not Uploading Problems & SolutionMy photos won't upload to iCloud Photo Library even when Wi-Fi works alright and iPhone charged with an original cord. This page offers a full collection of iCloud Photo Library not uploading problems & fixs.